I want to be clear: I am not going to talk about offending the world. As Christians, the lives we live before the unbelieving world should offend them. Instead, the concept for this post comes from a passage in a Bill Johnson book, titled When Heaven Invades Earth. In regards to the title of this post, Johnson, the senior pastor at Bethel Church in Redding, California is no stranger to offending Christians. His walk with the Lord can safely be called "outside the norm" of most Christians. He believes that the mysteries of God reveal the power of the Christian life, and it is the hunger of our hearts to seek them out and understand them. This quote from Johnson sums up my own Christian journey: "The walk of faith is to live according to the revelation we have received, in the midst of the mysteries we can’t explain". But what I have discovered is that the mysteries I see [and can't explain] tend to offend some of my fellow Christians ... And oftentimes, even the revelations I do understand cause offense. Let me be clear ... I am not talking about offending in the sense of being a stumbling block that causes another to sin. I am talking about being offensive in terms of declaring an unpopular Biblical viewpoint -- like our authority to heal and cast out demons; or the gospel of the Kingdom being Jesus's priority. But where does that offense come from? It has been my experience that when a Believer hears a testimony that is outside their own experience, or what they've been taught, their response is to be offended personally -- or even to be offended on behalf of God! Or, as I have heard it expressed ... "if it makes me uncomfortable, it can't be from God". The responses vary -- feelings of displeasure, annoyance, even anger. Sadly, it is often our family that is the most easily offended. But Jesus can identify with that. His own family disregarded His revelations from the Father. Furthermore, in this age of technology and social media, when you throw in the email or text factors, our words can take on whole new meanings not intended by the sender. Mix that with different levels of maturity and knowledge in our faith, and you have a recipe for misunderstandings, misinterpretations, and a big ol' dose of OFFENSE. I know for sure that I have offended. But I can honestly say that it has never been my goal to intentionally offend. The passion I have to understand how big my God is -- and to share what has been revealed to me -- is not always received with the excitement that I present it. But what frustrates me -- and yes, offends me, is that another Christian is unwilling to let me present my findings, let alone even consider that they might have some merit. And I have struggled with just being silent; not causing any controversy or friction. But is that what glorifies God? If I limit my Christian conversation to what is "acceptable" to an audience, am I being obedient to His call on my life? I am not saying that everyone has to agree with everyone else. There are those who understand mysteries of God that I cannot even fathom. But I try really hard not to subject their message to my own understanding, but listen to them, follow up with their Scriptural references and ask God to reveal His truth. I do not understand everything in the Bible, but I don't want my lack of knowledge to limit the truth of what God is revealing to another. And I'm okay with not understanding it all yet. I take to heart 1 Corinthians 13:12, "For now we see but a faint reflection of riddles and mysteries as though reflected in a mirror, but one day we will see face-to-face". That being said, I also don't want to restrict the possibility that I might see more than what I understand at this moment. And I will admit that I don't like to think that my belief system might offend another Christian. Offending another Believer is looked down upon by the Church -- in all instances. But is it ever acceptable in God's eyes? I only have to look at my Savior to see that offending others who share your faith is going to be part of your walk with God. Even at the young age of 12, Jesus did not seem to be concerned that he might have offended Mary and Joseph when He stayed behind at Passover to discuss the Scriptures with the religious leaders in the temple in Jerusalem. When Mary scolded Him, He didn't apologize, He didn't make any excuses, He only said, "Did you not know that I must be about My Father's business?" It's very clear that His priorities were different than everyone else's. Jesus also did not shy away from offending those who were religious; whether leaders like the Pharisees or those who turned away from His teachings in Galilee. And let it be clearly understood ... they were offended merely because God's instructions to Jesus did not coincide with their personal beliefs! Was the offense they took at His words justified? Looking back, as Believers, the answer is unmistakably No! And did He shy away from sharing what had been revealed to Him by the Father? No! Again, His priorities were simply different than everyone else's. I think it is important that we all understand that we are maturing in our faith at our own pace; our levels of understanding are never going to be the same at any given time. But we should not stop growing! Also, I wish we could embrace the concept that because God is SO big, He might reveal one piece of the puzzle [that is Him] to me, while revealing a completely different piece to you, and they won't look like they fit together at all. But if we can come together out of a desire to know His heart and take these revelations to Scripture, we might find they are both true and we just have to wait for Him to reveal the piece that connects us. We must not allow the Enemy to develop a culture of automatic unbelief just because we are uncomfortable with a concept, or it doesn't harmonize with our current belief system. It is the great privilege of a Christian to be able to go to our God with our questions. To limit your beliefs to only what you currently understand is controlling the greater things God wants to reveal to you. And believe me, He will honor that free will decision and wait for you to grow hungry before He reveals more of Himself. But I want to develop a heart that is willing to embrace a new concept of God without being offended [always confirming it with Scripture and the Holy Spirit]. I'm really trying hard not to be so quick to judge because a new idea is unfamiliar to me. And I will admit that sometimes my spirit recognizes a new Truth before my mind can comprehend it. That's when I have to seek a renewed mind so that I am in complete alignment with the Father. And it is sometimes a struggle ... the Enemy wants me thinking out of my carnal mind because then I am a Christian in my thoughts and body, but without the power of the Spirit in my spirit. Make sense? I truly believe that it is so important for us to develop the ability to hear God's voice and recognize His presence in us. It is the only way that we will quit being paranoid about becoming deceived, and quit being so offended by new Biblically-sound revelations. It is then that we can trust what our spirits are telling us because we know, without a doubt, the Author of those thoughts or words [because we recognize His voice]. I guess, in the end, there are always going to be Christians who are satisfied [and feel safe] with what they already know, and Christians who long to know more of the mysteries of God and are willing to seek them out. And with that deliberate decision will come the inevitable result of offending another Believer. I think God knows who will obey the Truths they seek and find, and who would be unable [or unwilling] to obey. That's why Proverbs 25:2 speaks so strongly, and consistently, to me: God conceals the revelation of his word in the hiding place of his glory. 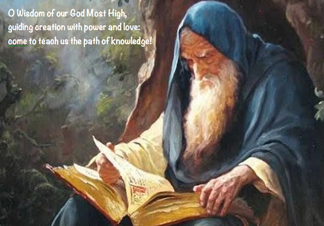 But the honor of kings is revealed by how they thoroughly search out the deeper meaning of all that God says. So, let me apologize right now to everyone I have ever [and will] offend. 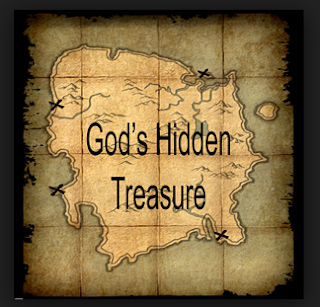 As a king and member of the royal priesthood of God's Kingdom, I have legal access to the mysteries of God's realm. He has placed things there for me to discover, and I will spend the rest of my life seeking to know Him more through these hidden mysteries. They are my right and my inheritance as His child. It is not my desire to offend you, or to harm you, but the priorities of my life are to walk as Christ did, and that means knowing my Father to the fullest extent I can. I will try not to be offended by your rebuttals or rejection, and I pray that what I share from my heart will not offend you, but instead, touch your heart, renew your mind, and provoke your own search for God's hidden Truths. He is waiting for you to discover Him!